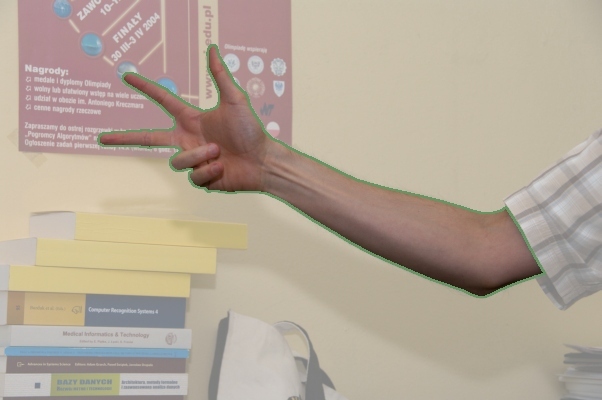 Our database for hand gesture recognition (HGR) contains the gestures from Polish Sign Language ('P' in the gesture's ID) and American Sign Language ('A'). In addition, it some special signs ('S') were included as well. 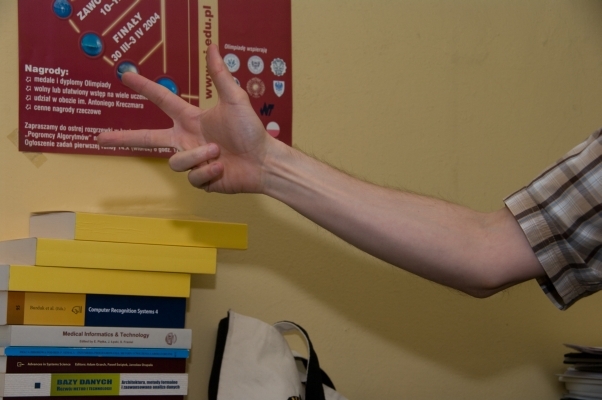 The database was developed as a part of the hand detection and pose estimation project, supported by the Polish Ministry of Science and Higher Education under research grant no. IP2011 023071 from the Science Budget 2012-2013.
hand feature points location (xml files). For benchmarking purposes, we publish the results obtained using several different methods developed during our research project. Bayesian classifier was trained using images from the ECU skin database (click here to see the list of images used for training). The classifier was trained in the RGB color space, using 64 bins per channel. In addition, we have prepared the binaries which implement our methods. The software is available upon request. In case of any problems or inquries concerning the database, please do not hesitate to contact us. 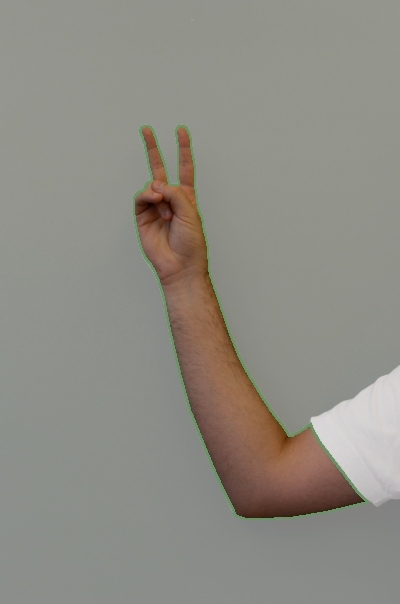 gesture counter (incremented for the same gesture presented multiple times by the same individual) - 1 character. Image dimensions: varied (from 174x131 up to 640x480). Data: original images, skin masks, hand feature points. Visualized data (for presentation purposes only): visualized skin masks, visualized hand feature points. (Kawulok, 2013) : skin probability maps, binarized masks. Background: gray (subseries 'hgr2A1' - 44 images) and uncontrolled (subseries 'hgr2A2' - 41 images). Data (downscaled to 602x400): original images, skin masks, hand feature points. Visualized data (for presentation purposes only, 602x400): visualized skin masks, visualized hand feature points. Data (downscaled to 400x604): original images, skin masks, hand feature points. 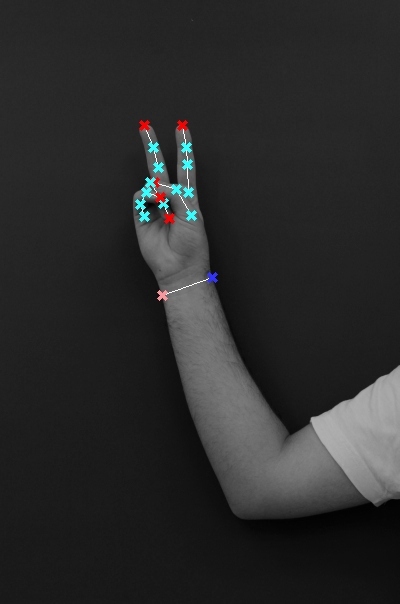 Visualized data (for presentation purposes only, 400x604): visualized skin masks, visualized hand feature points. The database is free to use for research, non-commercial purposes, provided that the following papers are cited in the works that exploit the database (here are the BibTeX entries). Here, we would also like to acknowledge the help of a number of students in creating the ground-truth annotations.